Honeybee Herbals regularly teaches workshops on everything from beekeeping to nutrition, herbalism, and so much more! Reach out if you’d like to host Honeybee Herbals for a workshop or event. Join Courtney Cosgriff, Clinical Herbalist, for an in depth discussion of the body's response to Colds & Flu. Learn how to better understand the body's physical responses, including fever, congestions, aches and more. Understanding your body's response can help you determine which herbal allies and nutritional remedies to rely on to help you feel better faster! Learn how to utilize medicinal herbs to support your musculoskeletal system - from acute injury to general wear and tear. Herbs can not only be effective in managing pain, but they also support our body’s natural ability to heal and recover! This class will be an introduction into how to utilize herbal medicine to support our musculoskeletal system from injury to general wear and tear. Herbs can not only be effective in managing pain but due to their broad-spectrum actions they support our body’s natural ability to heal and recover! A comprehensive understanding of nutrition and its role in prevention of musculoskeletal injury is also key, this class will also discuss how everyday healthy habits can not only prevent injury but can maximize the body’s strength, flexibility, and endurance. We are excited to offer a class on natural beekeeping for our June 9th Second Saturday workshop from 11am to 1pm. There has been much interest in honeybees and beekeeping in recent years due to a rapid decline in honeybee populations. Backyard beekeeping is just one of many ways to support and get to know honeybees. 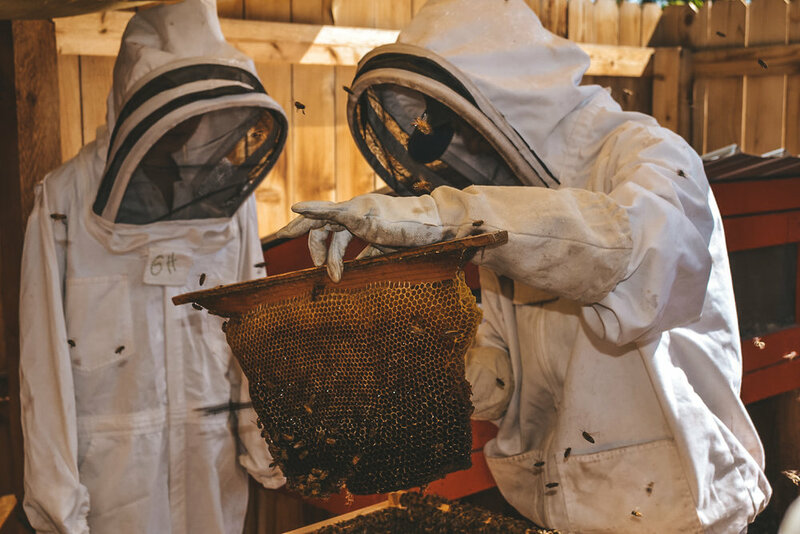 This workshop will be a primer into the world of bees and will cover the history of beekeeping, colony collapse and disorder, ways we can help honeybees, the basics of starting a hive and how to seasonally manage a hive. Courtney Cosgriff a local beekeeper, clinical herbalist, and certified nutritionist from Morrison, CO will be leading the workshop. This class will be an exploration into the magical world of the honeybee. The class will explore honeybees, their role on this planet, and how humans have interacted with them throughout time. We will also dive into the medicinal uses of propolis, beeswax, and honey.